Exercising during pregnancy may prepare your for labor, help you regulate weight gain and lower your risk of gestational diabetes. Most women can and should workout during pregnancy. However, not all exercises are safe for pregnant women. It is important to know which approach to take when starting a workout. What type of exercise may harm you and your baby? 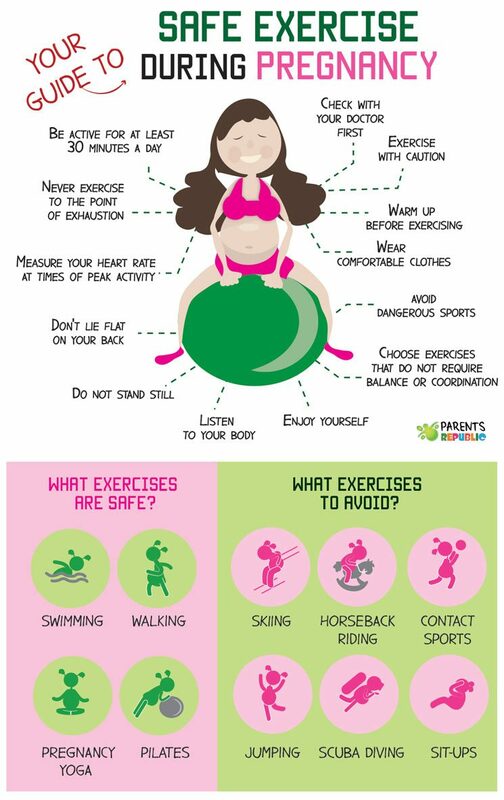 And what exercises are considered safe during pregnancy? The following infographic is a quick guide to your pregnancy workouts.